Most of the time, those projects and resources are being tracked in both the financial ERP solution and the project management solution. This data redundancy can cause errors in resource allocation and reporting. Project Management vs. Finance: Who owns the data? 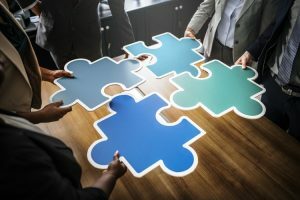 The traditional business model calls for a project management team to focus on their core job, although different models are beginning to emerge that place a much greater emphasis on financial integration. Nevertheless, even the traditional model is multifaceted and includes elements of risk management, resource allocation, scheduling and communications. All of these core principles are clearly cost centers in their own right and it could be argued that the project manager has considerable influence over them in any case. If the two areas devolve and the accounting staff looks after the financial elements, both processes may well compete but overall profitability can slide due to poor cross-communication. The biggest risk is a delay in data update, which can often mean that the project manager may resort to out-of-date instructions or get their direction from disconnected systems. On the other hand, the accounting staff may feel that they are better off dealing with all the data as the product management team doesn’t “understand” accounting practices or may make mistakes in manipulating the data. Often, the biggest danger lies in what is known as “shadow” data. These numbers may be relatively small individually but can add up to be of considerable size and have an alarming effect on the profitability of the project. They can include outstanding RFI’s, issues that materialize during the course of the project work, or change orders that are not immediately entered into the system. Instead of allowing this segregation to continue, the project manager must become more engaged in the accounting structure and focus on data reporting in several key areas. report more accurately on the effect of change orders. review the biggest cost centers impacted by such orders, most notably labor. provide more feedback about subcontractor work. approve invoices relating to this type of activity. provide ongoing feedback about the project to ensure it is keeping pace with the overall budget. provide further input about material purchase, usage and subsequent invoicing. System-wide integration may require a considerable change in policy, training and education and, perhaps, the introduction of personal, financial incentives. The entire process needs to be transparent and make sense for the project management team, who are not usually excited by figures, spreadsheets and projections. In particular, project managers must get used to reporting those shadow numbers as they relate to current work. Furthermore, they must be provided with materials and/or technology to enable them to provide a job-cost report accurately and with relative ease. In short, they need to be encouraged to take ownership of the accounting system for their project, while allowing the accounting team to supervise and manage the end result on their side. There are a number of tech innovations in play and software solutions that help to blend these two functions together, including solutions from Journyx. Journyx Projectlink, for instance, helps organizations using a Microsoft Dynamics ERP system and Microsoft Project to tie that information together. Projectlink allows Project Managers to sync in their project schedules and resource assignments into Journyx. Employees track their project time in Journyx. Projectlink can send that approved project time back into Microsoft Project as actual work to update the project plans. Projectlink then allows the time recorded against the projects from Microsoft Project to roll-up under the high-level project in Microsoft Dynamics ERP to perform all the cost accounting, client billing and payroll processes. Whatever solution is used to bridge the gap, project managers and finance must find a way to collect and share the data each needs, in a way that works best for their organizations. By bringing these two seemingly disparate departments together data-wise, they can ensure that ALL relevant data is captured in a meaningful way that helps to drive profitability at the project and resource level.